Books of The Bible Cup game!! With fun colors, this game has 66 cups. 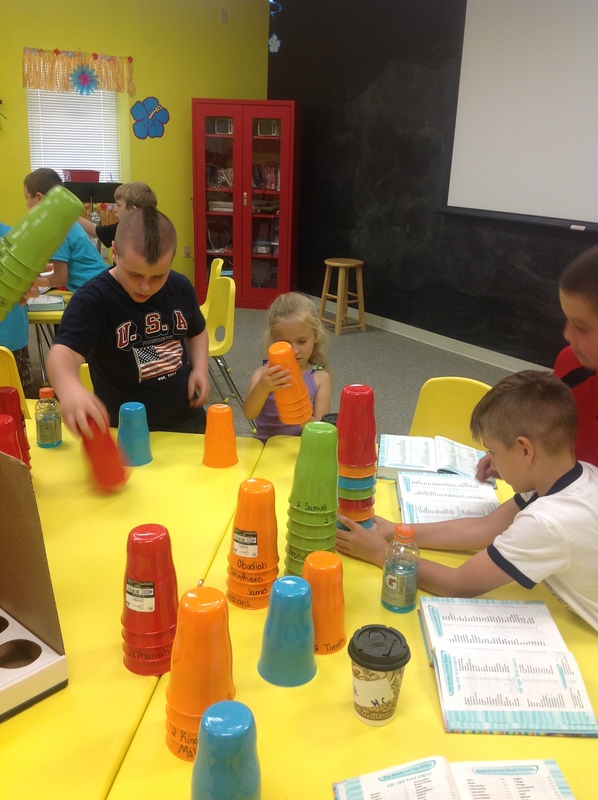 Alternating colors we wrote the names of the books of the Bible on each cup, mixed them up and gave them to our kids! The cups were purchased at Walmart, and a simple sharpie marker was used to write on them. We made 4 sets total. 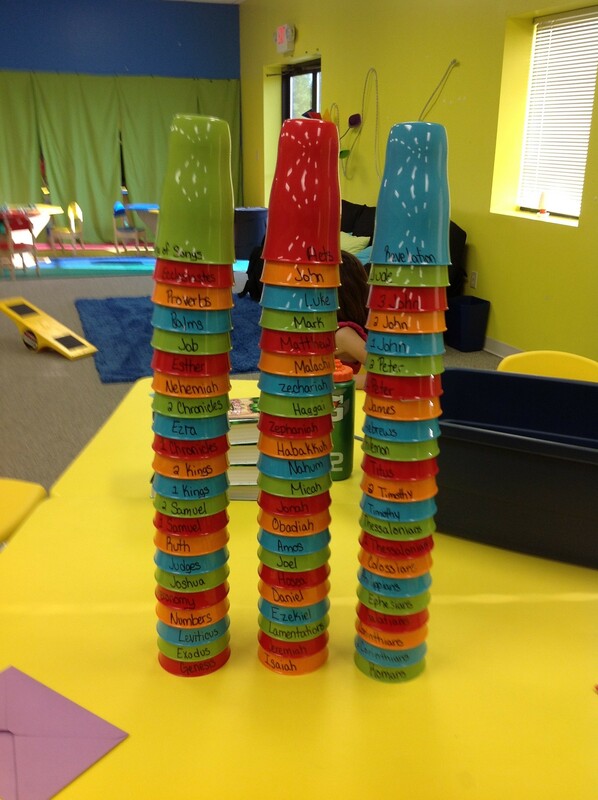 The object of the game was to stack the cups in the order of the books of the Bible. We turned on some awesome music and told the kids to go!! We played this game once a month with our kids at church. The first team to complete 3 stacks of 22 cups (66 books of the Bible) in order won a small prize. Hands on learning! The kids loved it! !